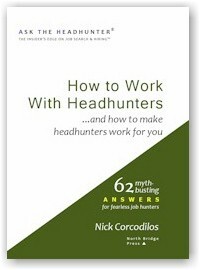 In the January 27, 2015 Ask The Headhunter Newsletter, a reader is fed up with a boss whose idea of management is bad politics. I work for a failing organization that brought in a new manager to turn things around. The problem is that the new manager has threatened to dismiss me. He clearly hates me. I have never been in this situation before. Earlier this year I was given a merit raise and was told by my manager’s boss that they were very happy with my work. I’ll be resigning, but how do I insure that this company doesn’t say negative things to a future employer? Should I see a lawyer? How should I handle this in the meantime? You’re going to have to play politics, because your new manager started the game. Don’t tell yourself that you can’t play because it’s distasteful. This is part of managing your career and work life, so learn to play well. The key is not to go it alone. I’ll offer you some suggestions, but remember that your judgment matters more than mine because you’re in it, and I’m just watching. First, assess where you really stand. I’d go talk to your manager’s boss about what’s happened; that is, to the person who told you what a good job you were doing. You must find out whether you have support, or whether the company will let the new manager toss you aside. It’s hard to say whether the big boss will come to your aid. Managers don’t like to battle with one another, but you must ask for guidance. Hopefully, you’ll get the help you need. Regardless, you must also take action to protect yourself. Visit HR and get the facts. What does HR have on file about this matter? Then create your own record. Start a written log of events (including names, dates, times, conversations), which may be helpful in the event you take legal action. Bring this with you to the HR office, where you can inquire about the problem you’re facing.. When you ask HR these questions, also submit them in written form. HR relies on records; you should, too. It’s part of playing politics well. If your manager is planning to fire you, HR will use a PIP to document your “problem behavior” and the company’s attempt to help you correct it. 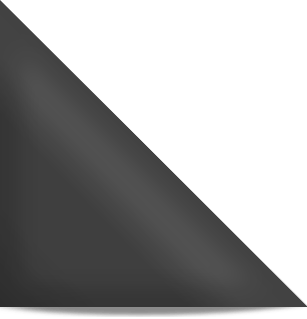 HR uses the PIP as a kind of CYA action to protect the company legally. It will tip you off to how serious your new manager is about canning you. If there’s nothing like this on file, then I suggest letting HR know that your manager has threatened you. Bring along a short letter to HR that states what you’re about to say, and include accurate quotations of (a) what your manager’s boss said to praise your work, and (b) what your manager said to threaten you. If you wind up taking legal action, these documents may be helpful. When HR sees this in writing and observes you taking notes, you may not need a lawyer — your manager may need more help than you do. Then ask HR for help. While it’s a bit risky to bring up hiring a lawyer, providing HR with written documents puts HR on notice. Now, HR — if it’s got any integrity at your company — has to take this seriously. (Do you question HR’s integrity? See What’s HR Got to Do With It?) Ask for a response in writing. If HR doesn’t give it to you, log that fact, too. Lawyers love logs. Whether you go to a lawyer is of course up to you. I’m not advocating that, but I want you to be prepared with information a lawyer may need to help you. While you’re meeting with HR, let HR see that you’re making notes about your conversation — and doing your own CYA. It’s part of playing politics, whether your idea of winning is a lawsuit or merely quitting and moving on. Coming Next Week: A special edition about how to leave your job. Did you get fired? About to get downsized? Ready to quit? We’ll discuss how to protect yourself so you can move on — on your own terms! Don’t miss it! Now that you’ve assessed — and let HR know — where you stand, the third part of politics is to get some insurance. Gather a few written references from managers and co-workers, if you can do it discreetly. If you have a good enough collection, you may not need to include your current manager as a reference when you go job hunting. Other managers will suffice. One negative reference that you can explain as a bad egg may not matter much, as long as you have the support of others who know you well. (For more about this thorny problem, see How can you fight bad references?) You might be surprised at how much support you have when you make your move — even if these same people can’t help you protect your job. Then take this a step farther. Have a friend who is a manager at another company call your current manager, his boss and the HR office, and ask them for references. (Caution: Do not fake this. You need a real manager asking for real references. Never lie. But there’s nothing wrong with playing more politics.) You’ll quickly learn whether they’re torpedoing you. If they are, you may need to talk with an attorney who can put a stop to it. Of course, your most important insurance is to line up interviews with other good employers. Even if you take legal action, your best option is a great new job, and the peace of mind that comes with knowing another employer values you and treats you with respect. I don’t know whether your boss really hates you, but if he’s threatened to fire you, that triggers HR processes, and that’s company politics. If you don’t believe me, you will when you realize that HR’s first job is to protect the employer, not you. So CYA. That means playing politics to protect yourself. Be prepared to fight fire with fire. While HR might be very sympathetic and helpful, it can also be your opponent — whether you’re leaving your job or trying to get hired. 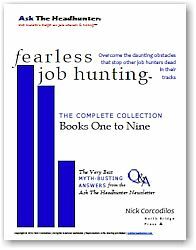 For more about dealing with HR, see Fearless Job Hunting, Book 4, Overcome Human Resources Obstacles. Now for my disclaimer: My suggestions can be risky. I’m not a lawyer and this is not legal advice. So use your own judgment and do the best you can. Have you faced a boss who hates you in spite of your good performance? What did you do to protect yourself? How did it turn out? How would you advise this reader? We had a toxic boss (now fired) who created problems with his staff. He undermined our work, talked about us behind our backs to others, lost his temper, etc. My co-workers started documenting all instances of his behavior. Once HR knew staff was documenting the issues, then HR and upper management started to act. It took 4 years to finally get rid of this guy, but they did. It should not have taken 4 years but we had a weak director and when he left, the new director showed backbone and fired my boss. We now have a new boss and he is much better. Staff is much happier and more productive. I don’t understand why companies keep bad leaders in positions of leadership–it nearly wrecked our department for the 5 years this toxic boss was in charge. Do. Not. Resign. Document everything. Resignation may mean that you give up any claim on unemployment benfits. Document all your work and your benefits, like accrued vacation, COBRA, etc. Jump ship quickly! Do NOT bother with any of the other crap, except for getting great references from others at the company. HR is there for the company, not you. Fairness and rationality do NOT rule the day at failing companies looking for scapegoats. Run! Do not walk. RUN! DLMS, I am glad they got rid of that boss, but most employers would rather dump whole departments full of great employees than admit they hired a dud manager. It is nearly impossible to change the culture of a large company. I have seen it go the exact opposite way of what you described. Jim, I agree that resigning may ruin the employee’s chances of collecting unemployment. The employee should focus on getting a new job, so unemployment isn’t needed. If the employee gets a new job NOW, they will not need a reference from their current one, as they can use the excuse that the company is unaware of their job search. After several years of above average reviews, Management decided they wanted to get rid of me by unleashing a campaign of harassment, which included demands for daily reports of hourly activities, threats of suspension based on bogus charges, official admonishments for speaking to a colleague about ‘management issues’, unmitigated scrutiny, etc. Apparently, Federal employees could not be arbitrarily fired because management decided they did not like you, but Management had the right to unleash a coordinated program of terror designed to cause you to quit. There was no HR to assist; at best they picked up the phone. The union offered little assistance; there were occasions when it was not obvious who they were actually representing. The fact that I filed and documented complaints (of harassment, EEO, etc.) was what saved my ability to collect unemployment. It took a few months before I fully realized that what was happening was a coordinated effort to force me to resign, at which point I started to ‘challenge’ management, take steps to protect my job and document the details. Even with documented evidence, it is very hard to prevail against a coordinated campaign and an employer’s unlimited access to legal counsel. Bottom line, you need to take proactive steps to protect yourself with documentation while you are working under these difficult conditions. And it would help to collect whatever reference letters you can while they are available. 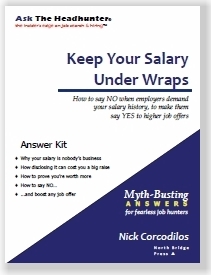 I was laid off (fired) with others in a situation similar to what Nick published above. The situation started out way worse, but I did end up with a severance package because of an emergency surgery and bad timing on the new leadership’s part. I’ll explain in-depth below. I cannot revile the company name; I am still under an NDA. I was an excellent employee for 8 years. High bonuses, high reviews, large pay increases. I had received awards from the CEO, Senior Vice Presidents, and other C level directors. I ran multi-million dollar projects with little oversight in a company known to micro-manage. I was brought in as a manager, and left as a manager though I ran 7 different groups (7 different manager titles) in the 8 years I was there. In the last 2.5 years I was with this company, I started up a new division in a new vertical that this company never had done business in. This all started when I started having some health complications and had a devastating injury to my leg that left me in a prosthetic. The VP who brought me on understood the situation I was in. He let me take vacation & comp time for surgeries to correct my issue, and didn’t force me to take STD (Short Term Disability). He granted me work from home privileges so I didn’t have to come in the office with a wheelchair or crutches. I was only out of work for 3 or 4 weeks, and worked from home the remaining time. Work was still being completed, and I still received a very high review and completed projects in the timelines I provided. In December of the last year I was at this company, The VP who I directly reported to “Left to pursue another opportunity outside the company” in other words he was terminated. The VP that was terminated, I had a very long phone call and started to explain what his management had in store for all of us. There was a new “Sheriff” in town. The new senior leadership didn’t actually like me and my fellow managers and directors much. Not because we did a good job – they wanted to install their own leadership comprised of people that reported to them in the past or outside personnel they worked with in the past. Cronyism at its best. Fast forward 4 months. All the leadership at my level was left in a vacuum. We were given little or no direction and were left to complete projects. When we tried to align ourselves with other business groups, we were told to stop and “get back on track” – whatever that was. One Monday after successfully completing a phase of a large project, I was brought in for a meeting. I thought it was to discuss the next phase of the project and to review the first phase – a normal meeting I had with senior management. Instead I was put on a PIP (Performance Improvement Plan). I was floored. I was still walking with a cane and almost couldn’t walk out of the new senior VP’s office. I left with, more or less, 90 days to find another job. Anyone who has been on a PIP knows you don’t get out from under that. Most if not all the statements on the PIP from the VP were false or misleading. The VP couldn’t even date the document correctly! I took the PIP document home and started to review and counter all the claims. I still had people willing to back me in other departments and some senior HR management who would also back me. I didn’t even get a chance to dispute my PIP – I ended up in the hospital that same week with a devastating infection due to the previous surgeries I had. I was forced to take STD (Short Term Disability) to heal up. When I was cleared to return from my disability leave, the company wouldn’t return my phone calls. I spent 2 additional weeks on leave trying to arrange a meeting to discuss some of my restrictions. I then received an e-mail from a new manager, someone who was hired in the 10 weeks I was out send an e-mail over setting up a “phone call” to discuss my return. I had a bad feeling and that bad feeling was correct. I was laid off with a 15 other employees. The only good part was the unfortunate hospital stay and recovery, if it wasn’t for that – I would have been terminated with no severance, no unemployment nothing for 8 years of service. I’ve been out of that company for almost 2 years now. I still keep in touch with many that directly reported to me or I was business friends with. What happened to all that “new leadership” I and my other colleagues were replaced with? Most of them left for other companies, the others were fired. I think out of 15 people, only 1 still works for the company. Though I’m still disappointed in the way I was treated, as the saying goes “Don’t look a gift horse in the mouth”. I’m doing fine consulting. On the question of references in this situation: don’t forget to get references from people outside the company with whom you interact professionally and who can speak to the quality of your work. I once had a client whose inability to get a positive reference from her employer was completely overcome by the positve references of the people outside her organization who had worked with her. Great article Nick. I have had terrible bosses in the past, one ex boss comes to mind that never managed anyone before and knew less than everyone. The SVP brought him in as they attended the same house of worship and played golf together. He came from a different industry and didn’t know anything about sales, my department. He didn’t like me because in meetings, everyone would look at me for the answers and not him. They knew I was the expert. No one respected him. I exceeded my sales goals and headed up new projects that were successful for new product lines. I even got a great performance review prior to him coming on board. He saw me as a threat. He made my life a living hell everyday. One day I overheard him talking about me…that he was looking for a reason to fire me. He then started giving me his workload and singled me out. He sent me emails that were based on lies. I put everything we discussed in writing and in emails and started keeping a log. I then filed a written formal complaint through our legal dept/employee compliance as the HR dept would do nothing as HR was only on his side. I eventually was told I was part of a group for a company wide mass lay off. I got some severance and I got in writing that they would never give me a negative reference. On Feb 19,1997 I was told by a co-worker the most profound thing I learned about surviving the Corporate world. I teach this to kids In college now, so they learn it 15 years earlier than I did. Even though you may be fired your company can decline to pay unemployment benefits. 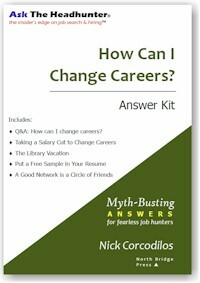 You can quit (and hopefully you have a job lined up before you quit) or you can let yourself be terminated. The company has the option of declining unemployment benefits, happened to me although by that time I already had a good job. The company had a law group that would fight every claim. This is the same company that was famously sued by a former employee because he found agents of the company rooting through his household garbage for information. The Company lost… and lost a lot of clients as well. In a perfect world, all bosses and employees would have super perfect ‘sunshine and rainbows’ perspectives on each other. sadly this isn’t the case. 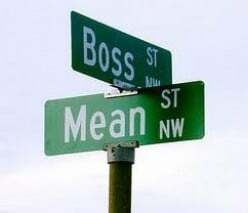 Whenever I have had an awful supervisor, I’ve almost always had a good relationship with either other workers or with the big boss(es). When a bad supervisor makes me decide to leave, I make sure that either the big boss knows why I am leaving and that I can count on a reference based on performance (I document any supervisor malfeasance if necessary) from her/him or I get a reference from someone at the same level as my old supervisor. In my experience, a big boss reference is gold and very few notice/care that you may not have been working directly under the alternative reference. One of the worst companies I’ve worked for- where they’ve gone through a couple toxic directors in my old department, multiple CEOs, VPs (and all under an HR department that can be very Stasi-esque) is a place where I still have contacts and regularly trounce them in their fantasy football league. I hate the company, but I like those select people. @Sue: I was fired w/o cause, notice & severance as retaliation for blocking bad cre loans. They declined paying UI until I supplied my glowing job review to the state of Wash. UC division from 30 days before the morons began their “attack”. Got the insur. due me & the morons were eventually driven out of bank after posting >$100mm in losses due to their “stupid lending tricks”. Reminder: this is the same location of the largest savings bank to fail (WAMU). Seems the locals are less than competent in the financial sector. @Donna: That guy attended a house of worship??? A friend of mine resigned from his job. HR filled out the paperwork with a wink. He got unemployment. Maybe sometimes HR is your friend. Maybe it depends on how management treats HR, eh? Does anyone know whether the old say is really true? If you are fired, you get unemployment. If you quit, the company’s not required to give it to you. Does anyone know? Yes, Nick C, it is 100% true that you must be separated from employment through no action of your own in order to collect unemployment. If you quit, you leave voluntarily— that is your action, and therefore, you get nada. If you are laid-off without cause, you do get unemployment. At least this holds true in IL, I can say with certainty. Yes, Nick, the old “get fired or get laid off, collect unemployment; quit, get nothing” is true, at least in Massachusetts. @VP Sales: your colleague is correct–HR is NOT your friend. I’ve learned that HR’s job is to protect the company/employer, not the employee, even when management is wrong, and they’ll circle the wagons, engage in all kinds of dastardly behaviors (just skirting the legality lines) to get you out. At my last job, one of the faculty teaching in my program wasn’t getting paid. She was always the first one to turn in her paperwork (for getting compensated), but with the new business office manager in charge, the prof.’s paperwork was sitting there and not getting forwarded to Cont. Ed. and to Payroll. I’d done everything I could, and the prof. tried to talk to the business office manager herself. Nothing doing. Then she went to her dept. chair to enlist his support. He got no where with the bus. office manager. Then she went to the dept. chairs of all of the subdivisions, and had five of them trying to talk to the dean about her “problem”. The dean pitched a fit, and backed the bus. office manager, not her own faculty member, and threw the dept. chairs out. Then she went HR, which backed the bus. office manager. She followed up by going to the union, which wimped out on her. The union rep. talked to HR, which talked to the bus. office manager, and HR backed management, the union backed HR. She finally started talking to attorneys (this was now 10 months after I had submitted the original paperwork to get her paid) to see what her rights were, and she couldn’t get anyone to take her case, not, she said, because none of them thought she had a cause of action, but because none of them wanted to challenge the big university, with its highly paid and high powered legal team. They told her that they’d wear her down, drag it out, and it would be very costly, both in terms of legal fees and professionally for her. They’d blacken her name, and make life hell for her. And there’s no guarantee of a good outcome. And I later faced the same kind of nasty behavior. Our dean had lost over $600,000 of the profits from the program I ran, and had to make budget cuts. Three staff members had already been let go, and since my program ran so smoothly they thought I didn’t do anything all day (because not a single one of the last two supervisors ever sat with me or even asked me what I did on a daily or weekly or monthly basis to ensure that the program ran smoothly). Anytime a professor or a student praised me, my last boss made negative comments and didn’t like it. More and more work was dumped on me, and I couldn’t get a performance review. I begged and pleaded for one, to no avail. I kept a paper trail of all positive comments, I documented everything, so when the bus. office manager said I didn’t do something, I had proof not only that I did it, but when (which didn’t go over well because that made her look bad, and which resulted in her telling my boss that she wanted me to do something, and he wouldn’t tell me–then she had something on me, and he wouldn’t back me). Before I left, I contacted faculty, students, and alumni, asked them if they’d be willing to serve as references, etc. I, too, went to my union, and got the same response as the unpaid prof.: they do whatever HR says, and HR always backs management.